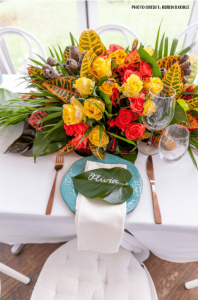 From bouquets to buttonholes to spectacular centerpieces, at First Class Functions we ensure that your flowers tie in perfectly to the rest of your theme. Just like your wedding day, every flower arrangement we do is unique to you. We can give you advice on what will showcase your style or alternatively work with you from an image or look book you have taken inspiration from. We can create romantic flower halos and crowns, sweet flower girl headpieces and stylish wrist corsages. We even help grooms put on their buttonholes! Our bouquets are sought after on the coast for their creative flair, beauty and quality. As we know each of our venues so well, we ensure that your flowers suit the space and layout of your reception to create stunning centrepieces. Our styling team prepare a full briefing of your wedding for our floral designers so that they can create perfect centrepieces to suit whatever your theme is from Vintage, seaside, classic elegance to country garden. Or anything in between. 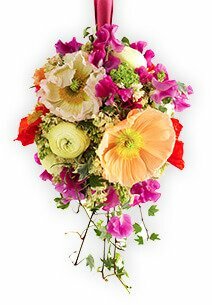 All your wedding flowers are personally delivered by one of our stylists to your location in quality packaging, surrounded by tissue to keep until they are needed. WE explain the best way to hold the bouquet and attach any sentimental items you may wish to have. By appointing First Class Functions for all your flower requirements, means you have one less thing to arrange, saving you time, money and extra stress in organizing your wedding day. With all your themeing, styling and flower arrangements under one roof, you can be assured that flowers highlight your special day perfectly.